Below are the steps to modify the Report Server URL and SQL Server for an Organization in Microsoft Dynamics CRM 2013 / 2011. This assumes that the report server is already installed and configured. 3. Right Click and Disable the Organization. 5. 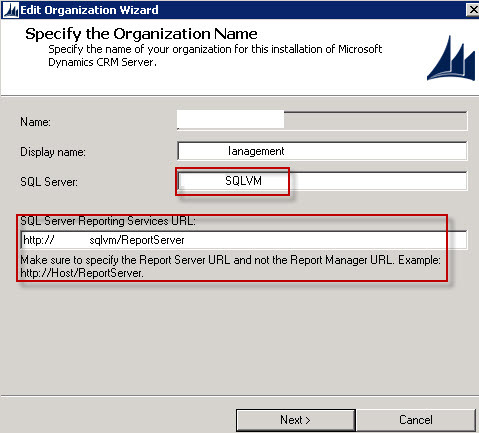 Modify the URL of the SQL Server and Reporting Services URL and respond to the Wizard. This entry was posted in MS CRM 2011, MS CRM 2013 and tagged Microsoft Dynamics CRM 2011, Microsoft Dynamics CRM 2013, ReportServer Url. Bookmark the permalink.